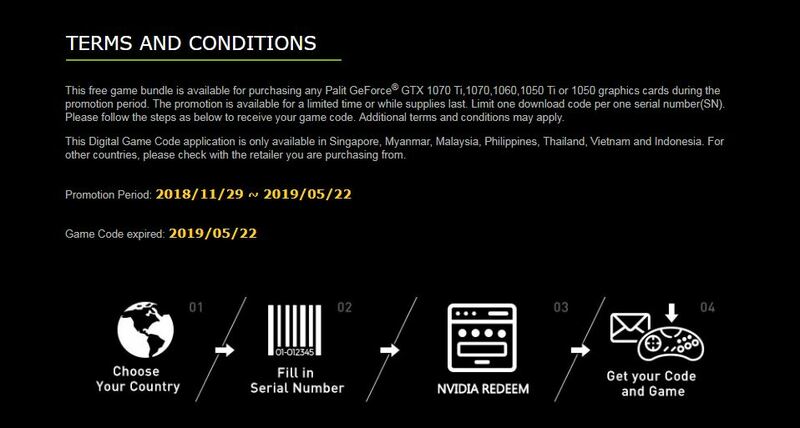 This free game bundle is available for purchasing any Palit GeForce® GTX 1070 Ti, 1070, 1060, 1050 Ti or 1050 graphics cards during the promotion period. Limit one download code per one serial number(SN). 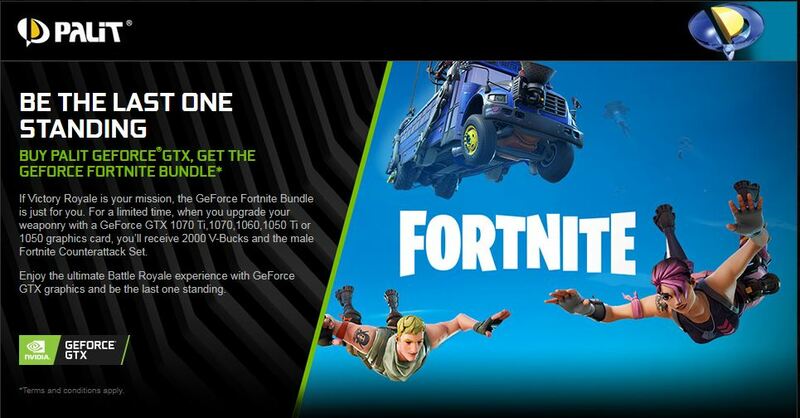 Please follow the steps below to receive your game code. WWW: Convergent Systems (S) Pte. Ltd.
Like us on our Facebook Page for the latest updates to our products and promotions! 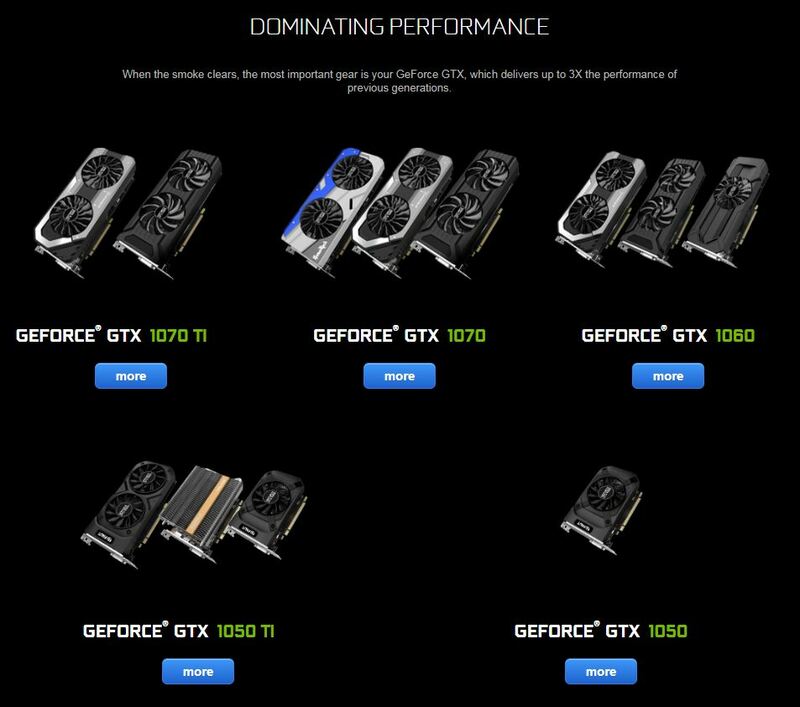 Last edited by Convergent Systems SG; 27-02-2019 at 10:32 AM..
Game Redemption now is done via NVIDIA Redemption Portal. Last edited by Convergent Systems SG; 30-11-2018 at 02:56 PM..
Last edited by Convergent Systems SG; 27-02-2019 at 10:33 AM.. I got the MHW promo code, can i still get this fortnight one? I bought Palit GeForce GTX 1060 Dual 6GB GDDR5 PCI-E Graphics Card at Lazada online shop, can it be considered to qualify for this promotion. Adata 1TB SX8200 Pro SSD, 1Samsung 850 Pro 1TB & 970 Pro 512GB SSD, Synology DS3615xs & DS2411+ NAS. I registered online with Palit on 18.1.19 ie. 5 days ago but no reply or acknowledgement till date regarding the Fortnite promo. Bumping for Convergent to reply. Normally it would take at least 5 working days for them to reply. Please email them directly at palit@palit.biz if it took longer than expected.